Rwanda is getting ready to start supplying the international market with the much sought after elegant Gentian flowers. According to National Agricultural Export Development Board (NAEB), the locally grown Gentian flowers are almost ready for harvest. “The first shipment for export is expected soon,” NAEB said Monday. The Japanese government has been aiding local farmers to realise the cultivation and proper nurturing of these highly priced flowers. The Ambassador of Japan to Rwanda and NAEB CEO Amb. 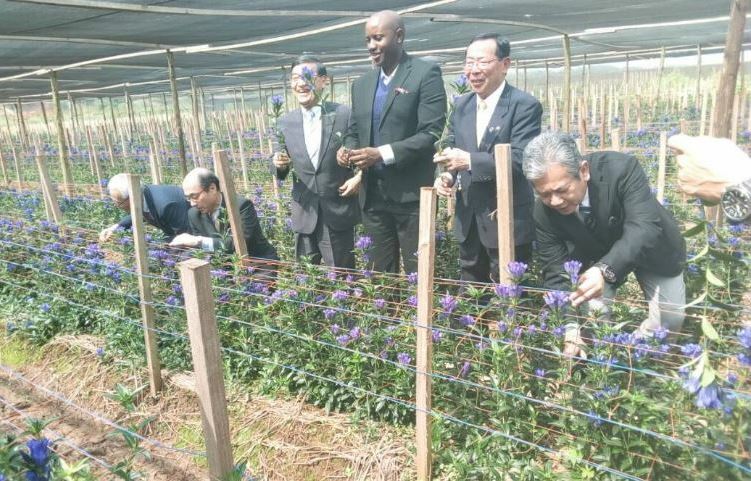 George William Kayonga accompanied by a delegation from JICA visited BloomHills’ project activities at Nyacyonga marshland where they grow “Gentian” flower variety under the support of Japan Government. For centuries, the Gentian flowers have been used for their medicinal properties and as cures for a range of ailments. Some gentians are currently used as flavoring for liqueurs and beer; others are used as snakebite remedies and digestive aids. A Croatian king of old, named Gentius, is thought to have first discovered the herbal properties of growing gentian flowers, hence the name. According to Amazon, gentian flowers are priced in the range of £3 up to £5 per flower without shopping costs. The price would reach between £7 and £9 with shipping costs included.